There are all kinds of horse barns from a very simple run-in shed to luxurious stables. 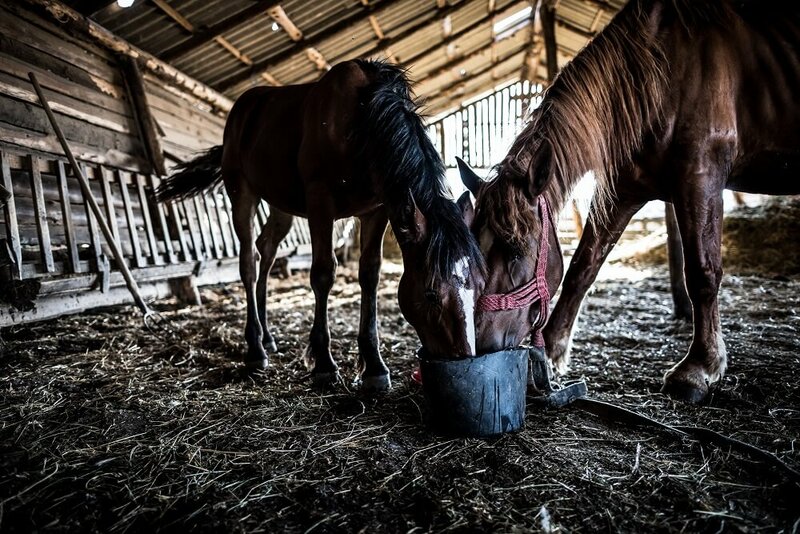 No matter what kind of horse barn you have, it’s important to understand that safety is of the utmost importance to both the inhabitants of the barn and the people who visit and work in it. 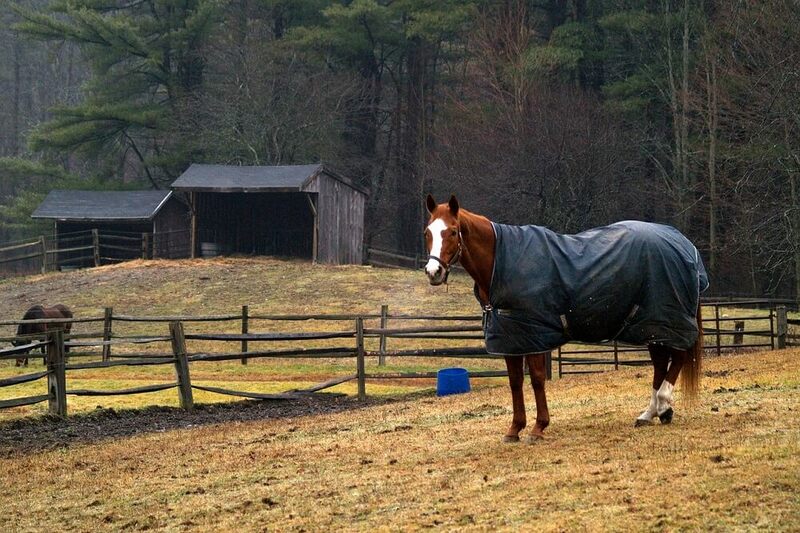 In this article, we share smart advice to help you keep your horse barn safe. 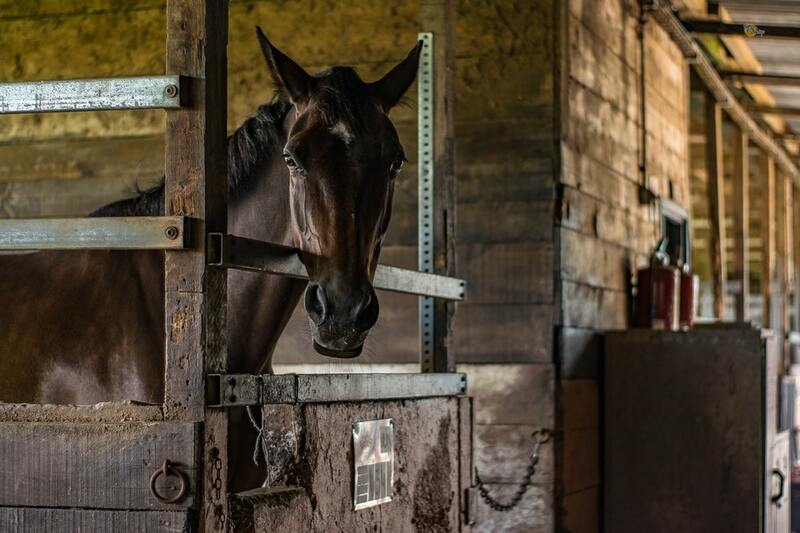 Read on to learn more about these 23 horse barn safety rules. A horse barn should not be cramped. Always make certain that there’s plenty of room for your horses and you to move about safely without being cornered or crowded. Aisles in your barn should be at least 8 feet wide so that your horse can turn around and two horses can pass each other without touching. Keep the aisles clear of clutter in your horse barn. Place hooks for halters high enough that ropes and halters cannot trail onto the floor and create a tripping hazard. Don’t allow any clutter or trash to be left in the aisles to get in the way. Be sure that there are plenty of proper trash receptacles in and around your barn so that people will not be tempted to drop garbage on the floor. Empty your trash cans frequently to prevent the buildup of clutter and infestation by pests such as rats. Horse barn ceilings should be high enough to prevent your horse from ever bumping his head on the rafters. Even if he rears up, his head should not come in contact with the ceiling. If your barn is wired for electricity, it’s extremely important that all plugs, switches and wiring are out of the reach of horses and are properly covered with conduit or weatherproof metal boxes. Light fixtures must also be high enough that horses cannot access them, and it’s a good idea to cover bulbs with protective metal cages. Unplug any electrical appliances when not in use. Your floor should be well draining and provide good traction. If you’re going to have a solid floor made of concrete, it must be texturized to provide good footing. If you use a rubber stall mat, it should also be texturized. Gravel also makes good flooring for a barn as it provides good traction and also allows moisture to run off. Windows in a barn should be made of unbreakable material such as safety glass or Plexiglas. Furthermore, metal screen or steel bars should be installed over this material to prevent breakage. Stall door should be wide and easy to open. They should always be set up in such a way as to open out rather than in. Doors on rollers that slide open sideways are the very safest. Use sturdy latches that horses cannot unlock on their own. Don’t use padlocks or any other type of lock to secure stall doors or stall guards. In the event of emergency, a locked stall can lead to a horse’s death. 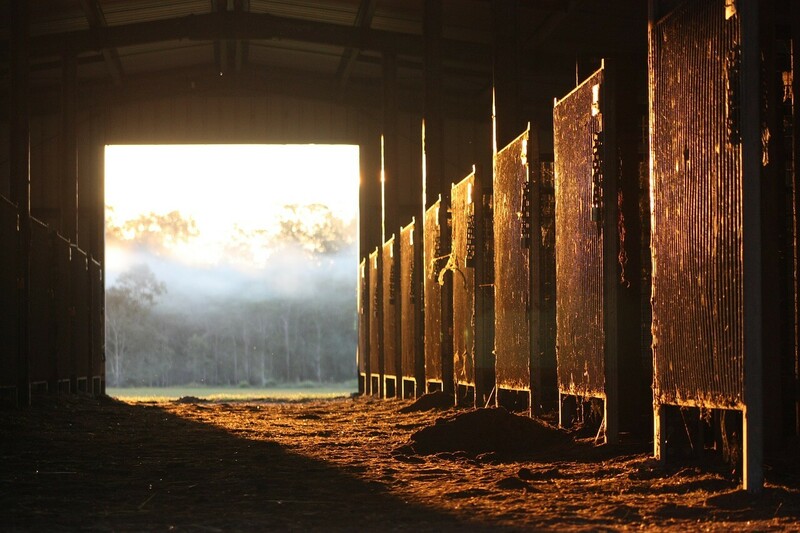 Do place locks on your tack room and feed room doors to prevent theft of your valuable equipment and to prevent horses getting into the feed bins. You can keep your horse’s halter and lead rope securely hung on a sturdy hook outside of his stall so that you can access them quickly in the event of emergency. Inside your feed room keep grain in metal bins or trashcans with lids to keep your feed safe from rats and mice and other pests. Keep your feed room floor swept up to avoid attracting vermin and bugs. Keep supplements, medicines and ointments in a locked cabinet or on a very high shelf to prevent access by children. Keep your horse safe from abuse and theft by installing motion detector lights outside. Set up video monitoring inside the barn and outside to keep track of who comes and goes. If your horse barn is equipped with a hay loft, be sure that the stairs or ladder that provide access to it are safe and secure. Ladders should be securely attached and immovable. Stairs should have sturdy railings and nonskid treads. Your loft should also have railings to prevent falls. Be vigilant about preventing fire. Keep any flammable substances such as gasoline, pesticide, paint or other chemicals stored far away from your barn. 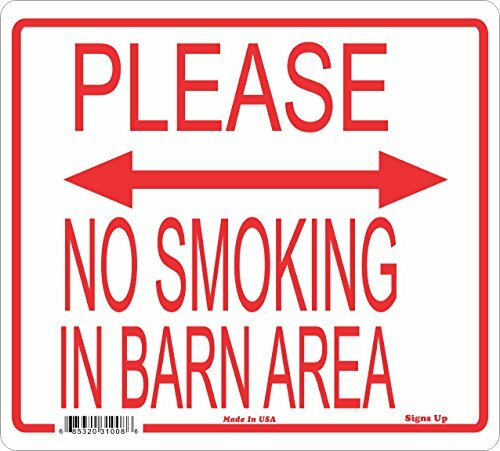 Never allow anyone to smoke in or around the barn under any circumstances. A barn full of hay is a veritable tinderbox and will go up very quickly with even the slightest spark. Install smoke detectors throughout your barn, and if possible install a sprinkler system. At the very least, have an ample number of fire extinguishers in easy-to-see and easy-to-reach locations. Keep water hoses attached, neatly rolled up and ready to be utilized in case of fire. 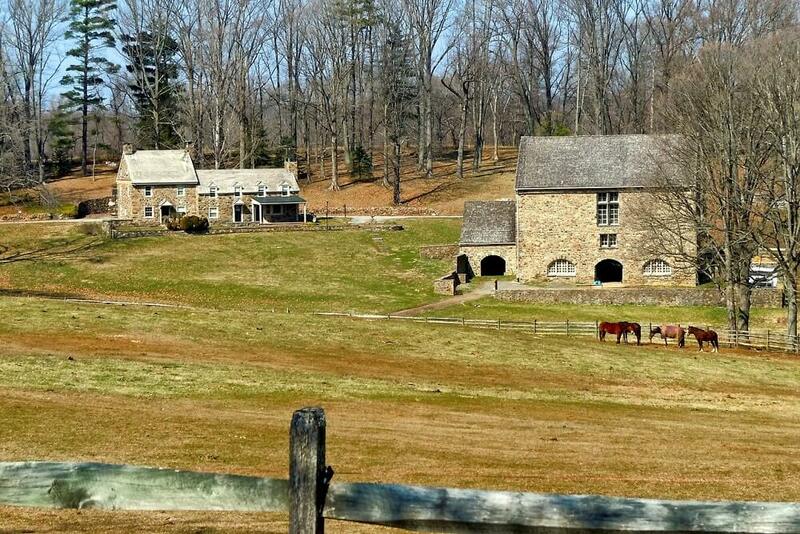 Keep the area around your barn free of unruly vegetation. It’s a good idea to cut back trees and bushes immediately around the barn and keep a wide swath of land all the way around the barn mowed and free of dry grass that could cause a fire hazard. This bare zone will also act as a fire break in case a wildfire occurs in your area. Create a first-aid kit for people and another one for horses and keep them both well-stocked at all times. Learn CPR yourself and obtain a CPR instruction poster to post in a prominent place in your barn. Post an emergency services list in your barn. This list should include phone numbers for your veterinarian, the local police department and others whom you may need to contact in case of emergency. It’s also a good idea to put the address of your property on this list along with directions that can be given to emergency personnel if needed. Obtain a sign that clearly displays the address of your property and place it by the road so that emergency personnel can find you in the event of emergency. Be sure that your driveway is wide enough (25 feet) for emergency vehicle access and keep it free of debris that might get in the way. Practice an emergency evacuation drill on a regular basis. 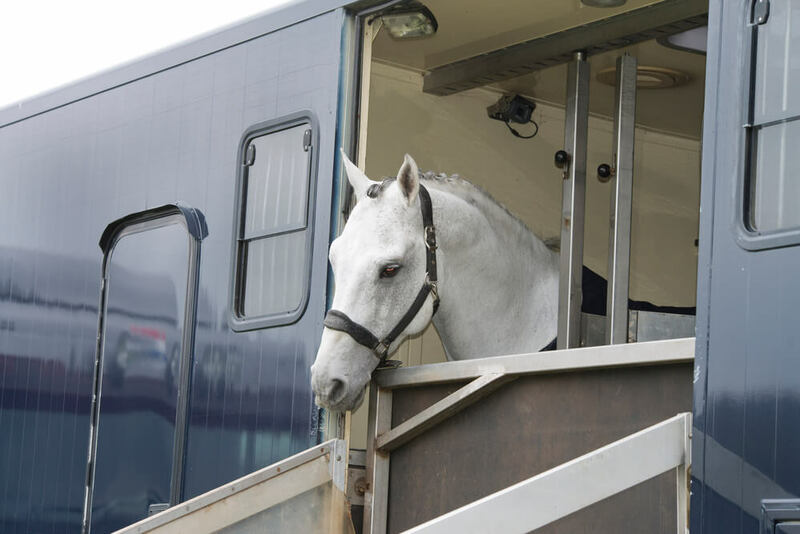 Determine how and in what order you will evacuate your horses and where you will take them in the case of a fire, earthquake or other disaster. Set up a designated area for horse evacuation and be sure that it is equipped with either very secure fences or secure, stable posts for tying. 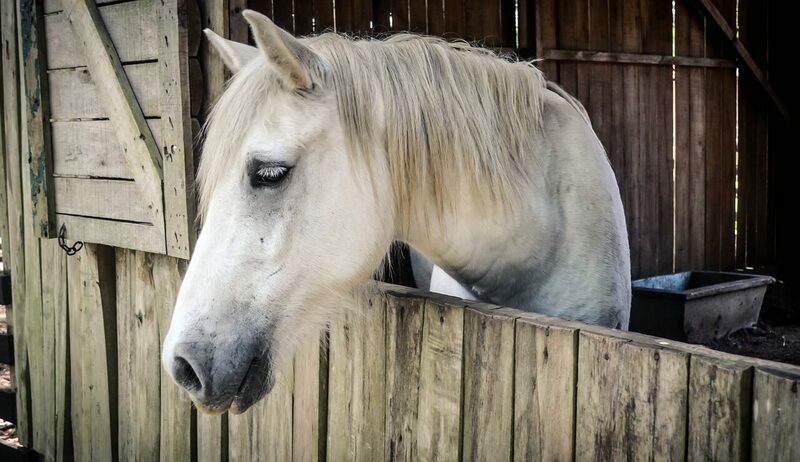 Understand that in the event of an emergency a frightened horse may try to run back to its stall even if that is the most dangerous place to be. Practice evacuating your horses blindfolded because blind folding is a good idea during scary events. A blindfold can prevent a horse from seeing frightening things around it that may cause even the most manageable horse to become unmanageable. Practice this often, at different times of the day and night so that you can count on your horse to step in and be ready to leave at a moment’s notice. Although this is a lengthy list of recommendations, it is really just enough to get you started. Put these ideas in place as appropriate for your horse barn, and examine your situation carefully to identify specific safety tweaks you can make in your setting. 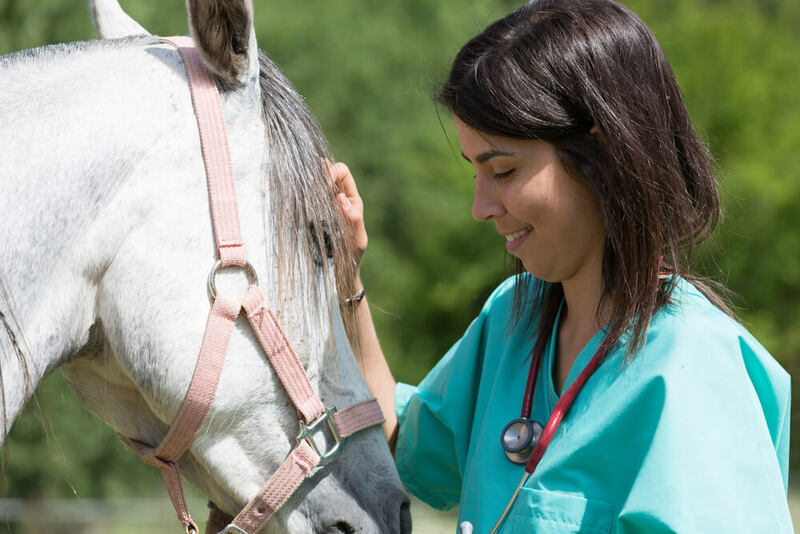 The University of Connecticut provides a handy and complete set of horse barn safety rules in PDF format.